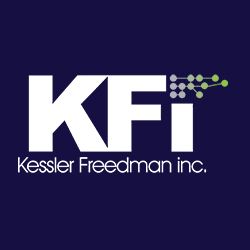 About once a month I check the kesslerfreedman.com Google Analytics report for client prospects that have not directly contacted us but have visited the site. I usually get a couple of specific organization domains that have visited this way each month, and they go into our marketing database. The first thing I do is set the beginning date parameter for the end of the previous month, and use today’s date as the end date. So for this example I would go back to November 30, 2012, and run it through today. My first search is under Technology, and I use Network. I choose to show 500 rows – it usually shows everyone for a given month. I then use a Secondary Dimension of Domain (which is under Technology) and that gives me a listing of Service Provider and Domain for all that have visited for the past month. The first dozen or two are almost always going to be the big ISPs. Comcast, Verizon, Road Runner, etc. These could be companies or other organizations but their identity is going to be concealed by the ISP they use. So I change the order to Average Pages per Visit (the third column). This allows me to look at this in order of who was most interested in our site. I then do Google searches on the interesting items that pop up either as Service Provider or Domain, find out who they are if I can, and plunk them in our mail marketing database. Anyone that averages 1 page look per visit is most likely not really interested in us or they would have stayed. So it’s a relatively quick scan to find those who are that can be identified. The free version of Google Analytics only allows you to look at 500 records at a time, so you’ll need to make sure you either use a frequency of checking or some other “slice” of the data so you can review the maximum number of records.